Available in a lovely gold finish, these resin made place card holders come with an appropriately sized slit for a place card or a photo, as the need might be. The place card holders measure approximately 1.75 inch by 1.25 inch in size, and are sold as a set of 6, with coordinating place cards included in the package. Place card holders are a necessary item to have at the table during the wedding reception; if they can be as decorative as the Embossed Golden Elephant Card Holder, it’s a welcome addition. 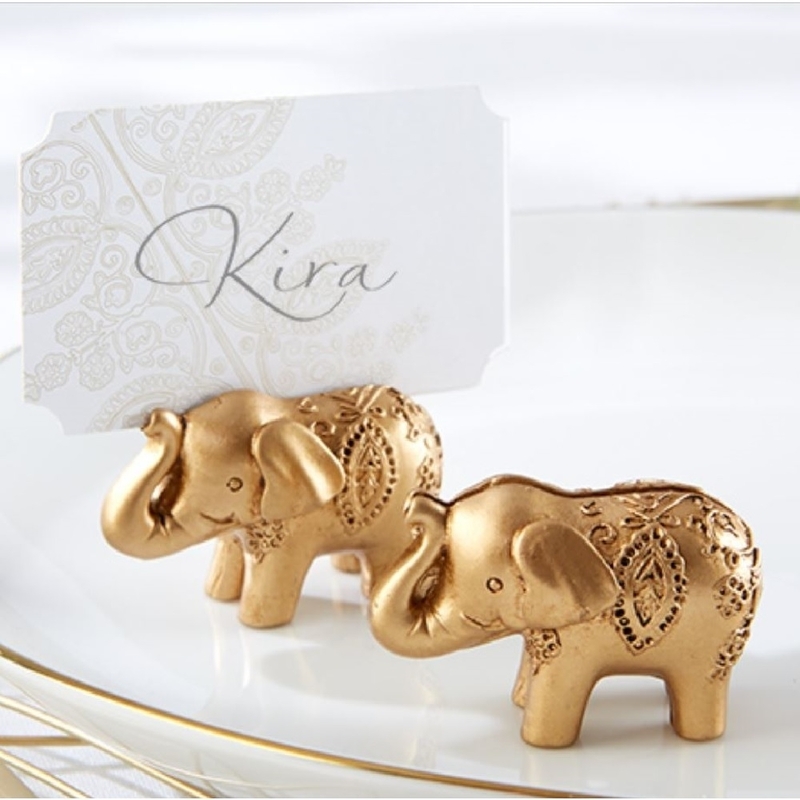 With their soft gold finish and decorative detail, the place card holders are sure to attract attention to themselves and make your venue look like a royal palace.